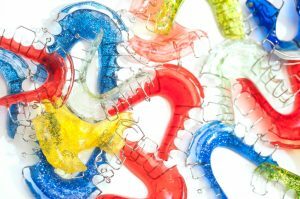 Orthodontic retainers…Do you really know how important they are? Okay, so you decided to invest in the straightening of your teeth. Your smile is perfect and you are absolutely delighted with your results from Affiliated Orthodontics. Now what? The Orthodontists at Affiliated Orthodontics produce incredible results with the newest and most leading edge techniques and technology that is available today. Now it is your turn to do your part and be diligent about wearing your orthodontic retainers. The Doctors at Affiliated Orthodontics will recommend the very best solution for your specific case. You need to trust that wearing your retainers will become part of your daily habit and lifestyle and will certainly help protect and maintain your perfect smile and your investment. If you have any questions about retainers or would like to schedule an appointment, please feel free to contact our office in Peoria AZ. We look forward to hearing from you.